This is handmade to order item, please note the extended delivery time. Thank you! Sleek, classic lines define this rustic sofa table. 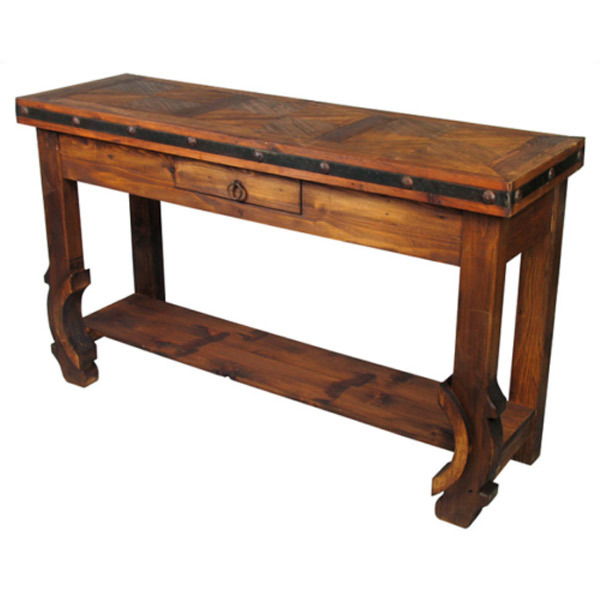 Created by skilled craftsmen in Mexico this sofa table is ready to take its place in your southwestern style home. Hand forged iron band and rustic nail heads echo the look of old world furniture styles. Each piece is a unique creation, so expect some variations in size and finish.